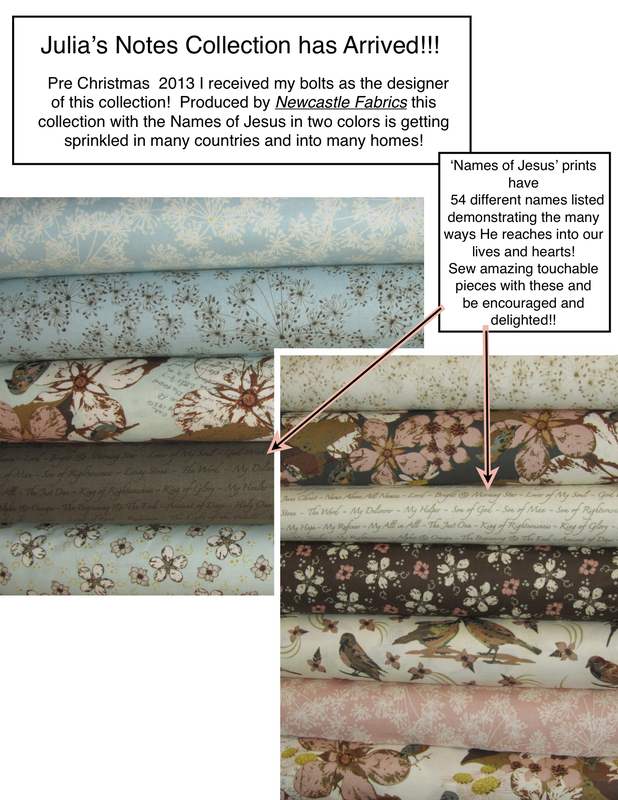 fabric – Petals Fair is about fabric designing, quilting, Christian faith, family and other musings!! This fabric design is truly exciting for me! Having been a quilter for several years I made a goal to create original quilts for all of my nieces and nephews. My desire for these quilts was and is to make them beautiful, and personal, and to carry upon them the hope and comfort of Christ. I pursued trying to find Christian fabric for quilting. With only a little success I set about finding other ways to achieve my goals………I wrote with fabric pens and used free motion stitches to place words of faith and hope into the quilts. They were lovely yet it seemed to me that many other quilters would love to do the same for heritage quilts so began my path of learning to design. Now I have learned to design the fabrics I was searching for and can share them with others! Currently I have the designs produced on fabric at Spoonflower and order the amounts I require. 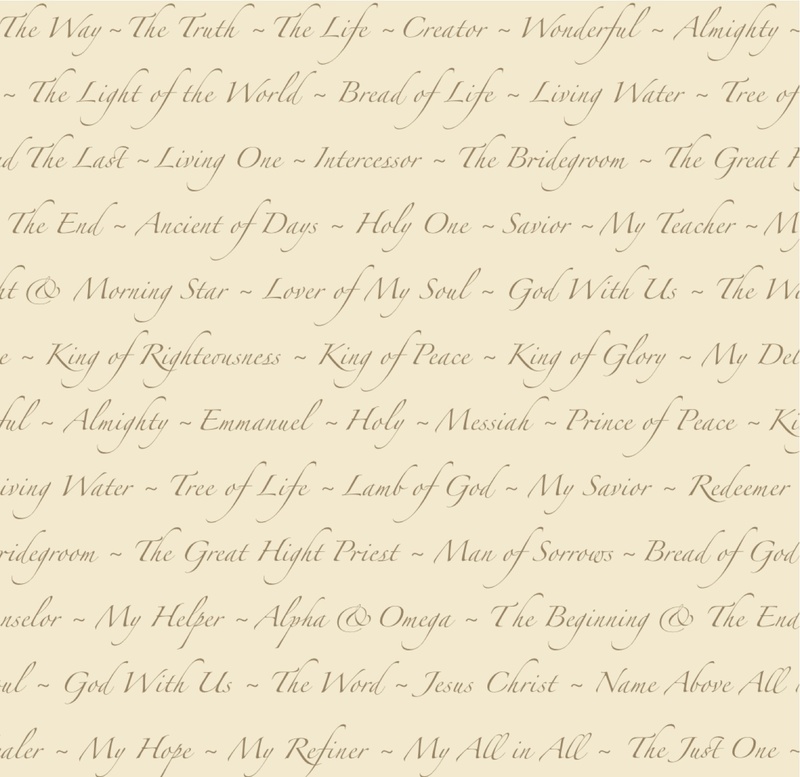 This design of the ‘Names of Jesus’ has become my favorite for pillow cases and table runners. For pillow cases I order the cotton sateen fabric which is very smooth to feel and has a bit of shimmer. Great for wedding, birthday, or baptism gifts! Later this year this design and its collection shall be available in the market place. Keep watching and i will let you know when and where! I hope you enjoy reading some of the names of Jesus visible above!